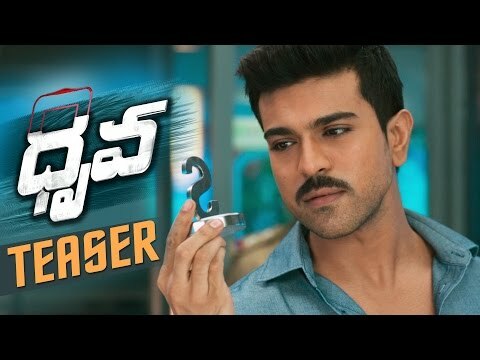 After a lot of hype and promotions, Ram Charan Tej’s Dhruva has opened to screening today. The film has been long pending for a release and after few postponements, the film has finally made it to the screens. Will it satisfy the fans and quench their thirst for a super hit? Well, let’s find out. Story of the film need not be separately mentioned as it is already a remake to a super hit film and the theatrical trailer also showed the main plot already. The story is all about a shrewd businessman who controls each and every happening and when the hero finds out about the baddies, the game gets interesting. How the antagonist challenges the hero, how the hero emerges out winning forms the rest of the story. Ram Charan Tej finds his elements with the film and he carries the role with perfect ease. It is probably the best look of Ram Charan till date and his toned body is a treat to watch on screen for his fans. His voice suits the proceedings extremely well and helps elevate his character but it is Arvind Swamy’s role that takes the limelight as in the original version. He looks extremely handsome and he even emoted superbly for the character at hand. Rakul Preet Singh did well for her brief role. Rest of the crew is adequate. Songs of the film are already a big hit and the picturization doesn’t let them down as well. Songs have been shot extremely well and are super stylish. Rakul’s glamour show in Pareshanu Ra will leave the masses wanting for more while Neethone has some peppy moves. Background music is super perfect and helps elevate the proceedings to great level. Hip-hop does a superb job with his opportunity. Director Surender Reddy may have had very little say in direction and screenplay given that the film is a remake but he’s shown his dexterity in showcasing the film. The film looks extremely stylish and he’s added his touch to a few scenes, especially in the second half. Dialogues of the film are okay and may have been better. The film lags in bits in the first half but the second half keeps you engaged throughout. The climax may have missed that wow factor but it is still pretty decent. Cinematography is top notch and some excellent work has gone behind the camera for the film. All scenes have been captured in superb tone and the songs have been presented beautifully as well. Technical values from Geetha Arts are excellent as expected and the art work in the film is decent as well. Dhruva will be a winner for Ram Charan and might as well provide him with that makeover that he’s been wanted to do. Lack of comedy might go against the movie’s favour but the tight screenplay and thrills will keep the audience engaged for the most part of it. 9:11: Time for the first song. Charan's physique takes all the limelight. 9:18: Rakul makes an entry now. 9:23: Time for choosa choosa now. Superbly shot. 9:49: Leading scene to the main conflict point are interesting and have been executed very well. 9:50: Arvind Swamy makes an entry now. 10:46: Movie going on in super serious mode. Fights have been designed well. 10:50:Navdeep character comes to an end, highly emotional scene. 11:00: Charan is performing well in emotional scenes. 11:08: The scene where charan proposes has been very well executed. 11:10: Time for neethone song now. Stylish dances on. 11:19: Movie getting very interesting with some nice and racy screenplay. 11:35: Movie in confrontation mode now. 11:46: Climax on now. A good one as well. 11:55: Movie done. Watch out for the full review.